Isaiah is a 2nd grader who has been with New Horizons since we started at his school. In the beginning, it was not uncommon for Isaiah to either shut down, be angry, or even get really upset when he would read with us. He also was very behind in his grade level in reading. While he has been progressing over the past year, this last month in particular, we have seen him transform into such a smart, beautiful child of God. He is starting to read with a new found confidence, and last week, he wrote a book report for us after he finished one of his first ever chapter books. He consistently is improving his reading, and we also have just seen a huge change in his participation his Bible time. Something has just clicked, and it’s been awesome to watch! When we first met Omar, he was often aloof and distant. He was a great kid with such a kind spirit but tended to be easily distracted and created disruptions. It was not uncommon to repeatedly redirect and strive for focus. In a few short months working with our dedicated team of mentors, it’s been amazing to see the difference. He is still a sweet, kind-hearted kid, but he has shown so much progress in his focus and dedication, and we are starting to see the reading growth start to pick up as well. From the moment she arrived, Francely was easily a youth that was “unnoticeable.” In fact, that was her intention. She disliked any type of attention and did not like to participate, speak, or be acknowledged in any form. However, over the course of this school year, we have slowly seen her open up to both her mentors and leaders. Also, she has been involved in every game and activity we play. It’s been fun to watch because she is actually quite competitive. Over the last month, she has volunteered to read the “RULES” aloud, answer Bible trivia questions for her team, and is stepping up to be a leader in our afterschool club! *Names have been changed for identity reasons. Join a Volunteer Committee Team! Our special events benefits from a marvelous assortment of live auction items. Assist in the event’s success by finding special items for the auction. If you are interested in sharing your skills, please complete the form below to get involved. Scarlett* is a 1st grader who recently completed her first year in New Horizons. When the year started, she was quiet, reserved, and struggled with self-confidence both socially and academically. Over the course of this year, our team watched Scarlett come out of her shell and become highly engaged and social! 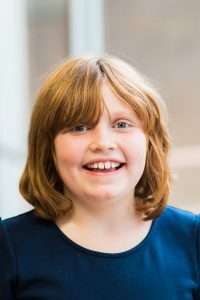 Her mom tells us that because of New Horizons, Scarlett has made major improvement in her reading ability and her confidence has soared, and she can’t wait for next school year. Through New Horizons, Scarlett is believing a different story! New Horizons of North Texas has announced the Annual New Horizons Golf Tournament on Monday, June 5, 2017, at the Las Colinas Country Club. All proceeds from the event will benefit the children of New Horizons of North Texas. To learn more about this event and sponsorship opportunities, visit www.newhorizonsofntx.org/golf. Golfers, sponsors, and supporters will gather at 10 a.m. before the 12:30pm shotgun start. Participants will be able to mingle with celebrity guests and notable DFW attendees. Golfers will have the opportunity to win prizes, enter once in a lifetime raffles, and bid for priceless silent auction items making this a fun-filled tournament to support a worthy cause. The day will conclude with awards and a presentation of gratitude from the kids of New Horizons. New Horizons provides after-school programming to at-risk students from Edward Titche Elementary and Alex Sanger Elementary (Dallas ISD) every Monday-Thursday. Students receive critical literacy tutoring, positive mentoring, and life-shaping character development through New Horizons. 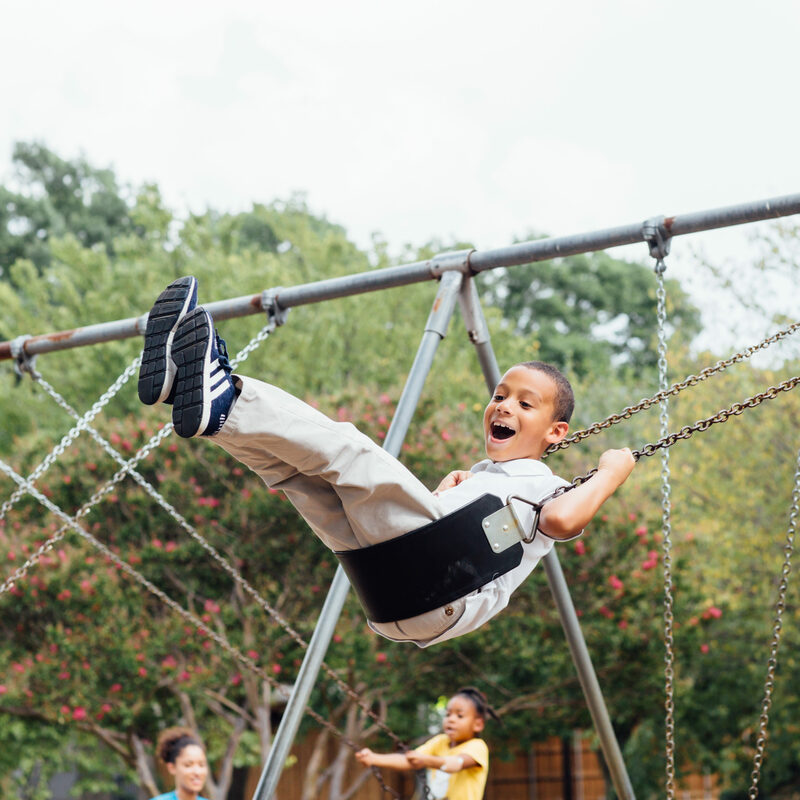 New Horizons of North Texas is a faith-based 501(c)(3) nonprofit dedicated to serving at-risk students in the DFW Metroplex through tutoring, mentoring, and faith-building. Qualifying students are able to attend New Horizons programs at no cost to their families. New Horizons is a nonprofit that operates solely on funds it receives from donations, fundraisers, and grants. More information can be found at www.newhorizonsofntx.org. New Horizons of North Texas (NHNTX) provides impactful after-school programming to students at Edward Titche Elementary (a Dallas ISD elementary school in Southeast Dallas) every Monday-Thursday. 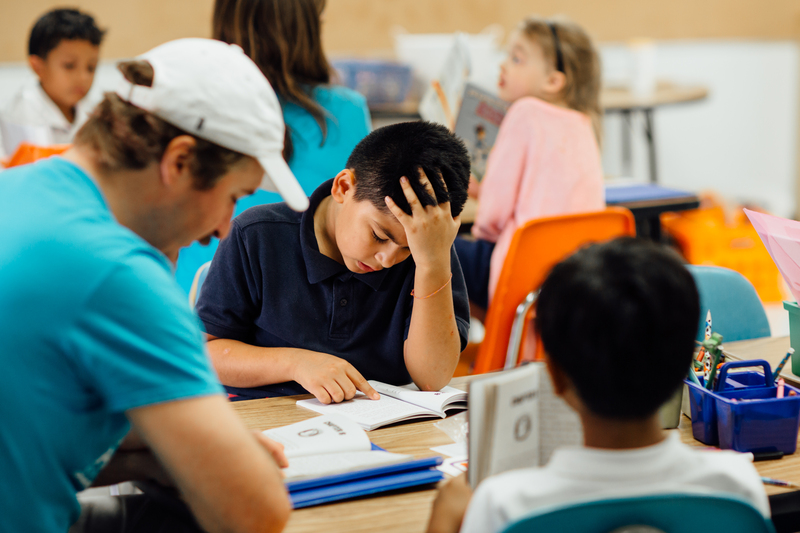 Currently, third and fourth graders from Edward Titche receive critical literacy tutoring, positive mentoring, and life-shaping character development through New Horizons. New Horizons has forged a partnership with Hunger Busters to feed NHNTX student a healthy and critical “third meal” after school. Hunger Busters, a group focused on feeding children that face food insecurities in DISD, provides meals each day to the students of New Horizons, along with several other DISD schools. In 2015 they served 256,000 meals to 11 schools and 5 afterschool programs. New Horizons of North Texas is a faith-based 501(c)(3) nonprofit dedicated to serving students in the DFW Metroplex. The mission of New Horizons of North Texas is to empower at-risk youth to reach their full potential with tutoring, mentoring, and faith. More information can be found at www.newhorizonsofntx.org. NHNTX is a local nonprofit that operates solely on funds it receives from donations, fundraisers, and grants. 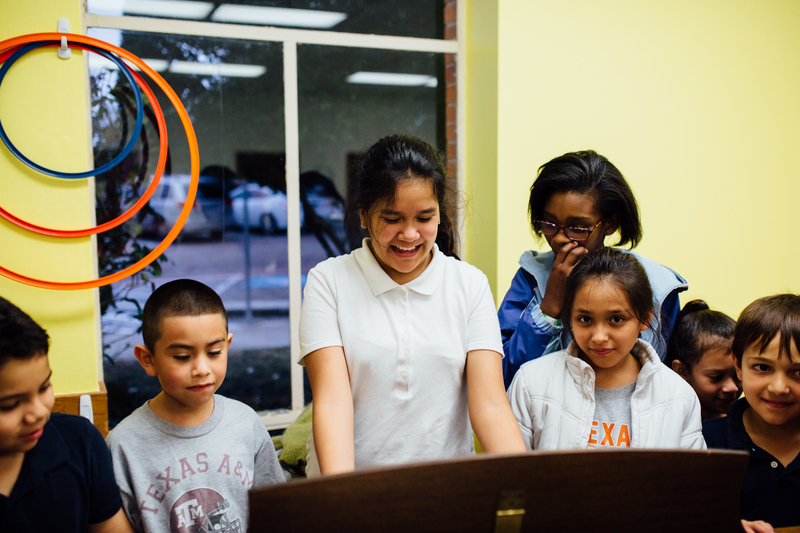 Students who live below the poverty are able to attend NHNTX programs at no cost to their families. Hunger Busters is a Dallas-based charity focused on feeding kids and fueling futures by providing a much-needed third meal of the day to food-insecure children in Dallas Independent School District through its signature “Feed the Need” After School Program. 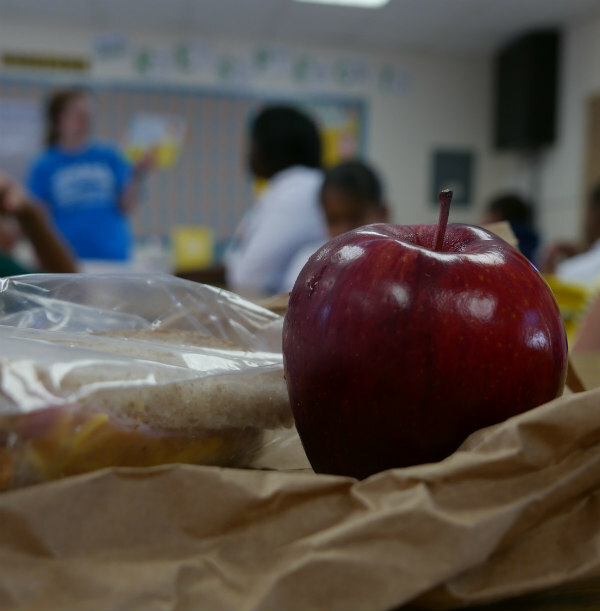 In 2014 alone, Hunger Busters provided over 200,000 meals to 6 DISD schools. With the help of committed volunteers, continuing and new partners and donors, Hunger Busters will take a big bite out of Dallas’ childhood hunger epidemic. Hunger Busters is a non-profit organization that receives private donations. We operate on private funding along with corporate grants. 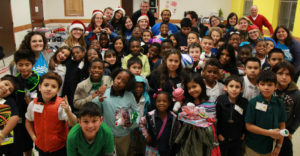 New Horizons of North Texas students from Alex Sanger Elementary recently visited Autumn Leaves Retirement Center to sing Christmas carols and donate ornaments, spreading holiday joy to local senior citizens. To kick off their Christmas Celebration, the Super Kids Club after-school program visited Autumn Leaves to experience the joy of giving back. Afterwards, the students gathered at White Rock United Methodist Church to celebrate with games, a pizza dinner, and crafts before ending the celebration receiving Wish List gifts donated by generous partners. As part of the after-school program, 3rd and 4th graders from Alex Sanger reading below grade level experience individualized support needed for their academic achievement. Students receive critical literacy tutoring, positive mentoring, and life-shaping character development with New Horizons every Monday-Thursday. New Horizons is in its second year of programming in Dallas and serves students at two local DISD schools: Alex Sanger Elementary and Edward Titche Elementary. Last school year, New Horizons impacted twenty-eight students from Edward Titche Elementary in Southeast Dallas, provided over 2100 hours of mentoring and 2500 meals, collectively presented forty plus hours of character teaching, and saw 100% of their students improve their reading level. In addition, New Horizons students read an additional 20,000 plus minutes with New Horizons after school. New Horizons is a 501(c)(3) nonprofit started in 2014 as an affiliate of New Horizons of Southwest Florida, who has been impacting their local community since 2003. The mission of New Horizons of North Texas is to empower at-risk youth to reach their full potential with tutoring, mentoring, and faith and add additional grades each year until they eventually provide long-term wrap-around support for students all the way through their high school graduation. More information can be found at www.newhorizonsofntx.org. New Horizons is a local nonprofit that operates solely on funds it receives from donations, fundraisers, and grants. Students are able to attend New Horizons programs at no cost to their families. New Horizons of North Texas has expanded and recently launched their second Super Kids Club to impact underserved, at-risk students from Alex Sanger Elementary (a DISD elementary school in East Dallas). As part of the after-school program, 3rd and 4th graders from Alex Sanger reading below grade level experience critical individualized support needed for their academic achievement. Students receive critical literacy tutoring, positive mentoring, and life-shaping character development with New Horizons every Monday-Thursday. 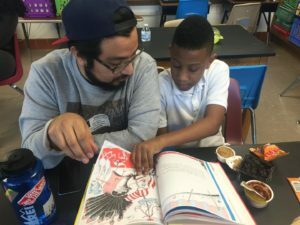 In their first year of programming (2015-2016 school year), New Horizons impacted 28 students from Edward Titche Elementary in Southeast Dallas, provided over 2100 hours of mentoring and 2500 meals, collectively presented 40 plus hours of character teaching, and saw 100% of their students improve their reading level by an average of 1 Grade Level. In addition, New Horizons students read an additional 20,000 plus minutes with New Horizons after school. 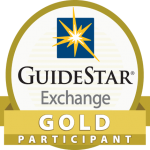 New Horizons is a faith-based 501(c3) nonprofit started in 2014 as an affiliate of New Horizons of Southwest Florida, who has been impacting their local community since 2003. New Horizons is dedicated to serving children growing up in underserved areas of poverty and academic struggle in the DFW Metroplex. The mission of New Horizons of North Texas is to empower at-risk youth to reach their full potential with tutoring, mentoring, and faith and add additional grades each year until they eventually provide long-term wrap-around support for students all the way through their high school graduation. More information can be found at www.newhorizonsofntx.org. New Horizons is a local nonprofit that operates solely on funds it receives from donations, fundraisers, and grants. Students who live below the poverty are able to attend New Horizons programs at no cost to their families. Seth is the Director of New Horizons of North Texas. He graduated from Southwestern Assemblies of God University in 2006 and George Fox Evangelical Seminary with a Masters of Ministry Leadership in 2014. Previously, Seth filled a variety of roles on church staffs in North Texas, San Antonio, and Tulsa, OK, with a focus on youth, church operations, involvement, and organizational infrastructure and systems. Seth’s passion is to ignite redemptive hope and purpose in others to see a city transformed by God from the inside out. He desires to see a love for education stirred up in kids sparking confidence and self-worth. In 2005 Seth married his high school sweetheart, Lacey, and they now have two young daughters.